Our whole grain cereals are a nutritious breakfast or a healthy snack. Heart healthy with no sodium and no added oil. 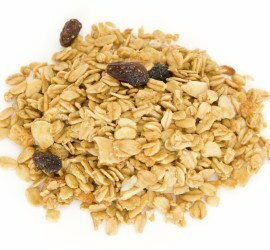 We don't just claim to make a healthier granola, we have the nutrition facts to back it up. 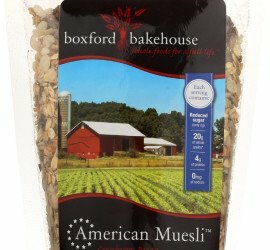 A blend of traditional European style muesli and maple sweetened crunchy granola. An American twist on a European favorite.